You’ve seen the big signs emblazoned with his name everywhere along Scenic Highway 30A and throughout Destin. 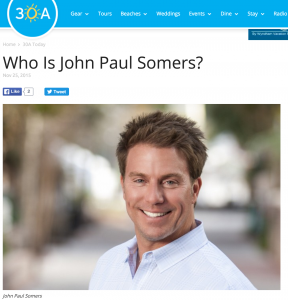 John Paul Somers lists residential and commercial property all over the place. But, just who is the man behind the sign?